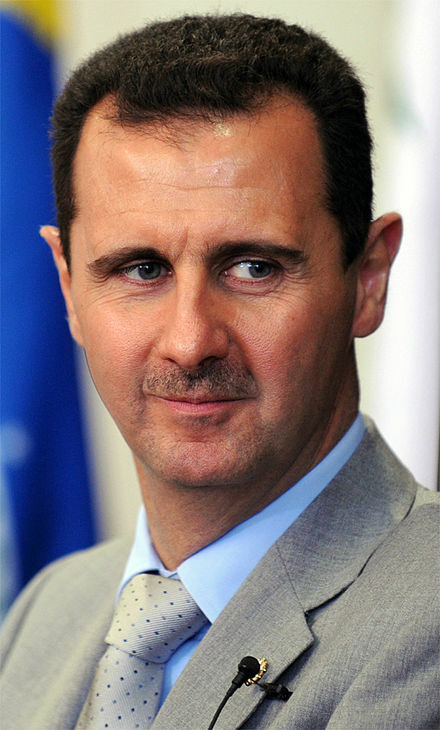 January 15th, 2013 According to Al-Watan, Bashar Hafez al-Assad, and family, have been moved to a Russian warship off the coast of Syria. However, it is possible that this is a Saudi attempt to destabilize the current forces in Syria (the government and its allies) that are fighting the Syrian rebels (which are increasingly composed of Al-Quaeda and other allied types). With Syrian rebel forces chopping Christians’ heads off, (not to mention the horrors of the Syrian rebels forcing children to behead people, with the cries of ‘Allahu Akhbar’, as reported on the Daily Mail), along with the Syrian rebels praising Osama bin Laden and the 9/11 terrorist attacks, and the heavily documented claims by Syrian rebels that after they ‘finish with Assad, we will fight the US”, there is an increasingly high likelihood that Assad may in fact be on a Russian warship. Though, Russia had in the middle of last year stated that they had no plans to offer Assad asylum. Let us not FORGET, that a similar Sunni Islamist uprising took place in Syria from 1976-1982. Of course, the Muslim Brotherhood was the main antagonist to the Syrian Ba’athist forces in the first war. It is the same Muslim Brotherhood that has long had CIA and Western power connections. It is also the same CIA-connected Muslim Brotherhood that successfully won Egyptian elections (after the ousting of Mubarak). After all, Muslim Brotherhood has every reason to funnel weapons, with CIA help to Syria. Ever since the Hama bloodbath, in which the Syrian Army killed between 10,000-40,000 people during its battle with Muslim Brotherhood forces during the 1982 siege of Hama (which was commanded by the younger brother of Hafaz Assad, General Rifaat Assad), the Sunni Islamist Muslim Brotherhood and allied groups have been waiting for their turn in revenge upon the Alawite dominate Syrian Ba’athist party. The siege of Hama in 1982 effectively ended Syrian Sunni Islamist forces strength in Syrian for some decades. That is, until now. So, if the Sunni Islamist Muslim Brotherhood had won victory during the 6 year war it fought against Assad, the Christians would obviously all have been driven out then, if not outright killed (and subject to what the Copts, Assyrians, etc, are only beginning to taste in Egypt and Iraq). It is not as if they are to blame, being only 15% of the population. They could, of course, take up arms and form their own resistance movement completely independent of the Syrian government and the Syrian rebel Islamist factions, but, their dispersal pattern throughout the country may not be conducive to that; aside from this giving carte blanche to the Syrian rebels and government to kill them with impunity. Why does the US government and other Western powers insist upon destabilizing, and supporting intentionally, the most radical Jihadi type forces, parties, and regimes, in Egypt, Syria, Saudi Arabia, and, of course, Libya and the coverup of the horrors of other US supported regimes by CNN and other media outlets? I have a theory, that should not seem out of place, considering the fact that to deny it would mean that the US government has been controlled at the top levels by people who are idiots for 70 years. My theory is that they want this to happen, because, in the process of doing this, it riles up the population against a now more emboldened Islamic threat. It increases the ever-increasing paranoia of the Israelis. It encourages Americans to continually vote for causes that are all controlled by the military-industrial complex (which of course, General, and then President, Eisenhower, made an explicit warnings about in his farewell speech). At this point, we are left with a number of different possibilities. It is possible that Russia is intentionally playing into all this. That, they intend to eventually fight the United States and its Western allies again, ultimately culminating in thermonuclear war. In the aftermath, the world will be re-organized upon authoritarian lines, since, martial law will prevail, and anyone saying anything remotely like what I am, will, in the US and other countries be arrested. It is, on the other hand, possible, that this could lead to a long drawn out conflict with Islamic forces who will attack Israel and will actually intend to destroy it (and, then, of course, they’ll target Iran, since, the majority Sunnis will view them as heretical Shi’ites). There are a number of horrors, none of them good. Any Christian population left in the Middle East will have to get out, or suffer the horrible consequences. 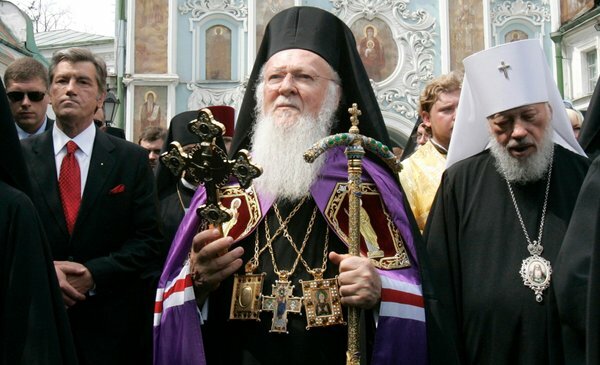 What small remnant of Orthodoxy that exists in these lands (since the majority of the Patriarchates there have long since abdicated the faith by uniting with the various non-Orthodox groups in different ecclesial manners), if it continues, will do so underground. 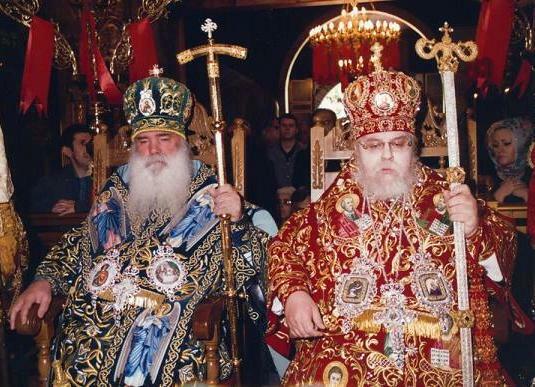 And the catacomb network of Orthodox Christians in such an heavily Islamisized area, will make the worst horrors of Stalinist Russia appear a paradise in comparison. Is Assad On Russian Warship Off Syrian Coast?